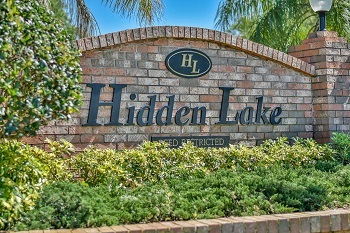 Hidden Lake subdivision of Palm Harbor offers affordable and moderately priced homes in a well established unique neighborhood with tennis courts, playground and park, close to the top rated Palm Harbor schools. Hidden Lake community is located off Alderman, west from US Hwy 19. Homes for sale are one and two story, 1500 to 3000+ sq. ft. with three and four bedrooms and 2 to 4 baths and range in price. Special features include tranquil water views from most homes and without the flood insurance. There are many high quality updates, too numerous to mention. Most homes do have volume ceilings, fireplaces, walk-in closets and in ground, caged pools with 2 to 3 car garages. This is a deed restricted community. Just a few minutes from the Pinellas Trail, Honeymoon Island, various malls and Florida beaches make this a most desirable location. Highly rated schools of Palm Harbor are zoned for this address, making it a very desirable choice for families with children. Do you need to sell your home in Hidden Lake? Choose experience over price and we will show you how we can save you money and get your home sold in the best possible light. Here at Lipply Real Estate we do virtual tours and intense Internet marketing on all of our listings to get your home out there and noticed on the market. We hope to hear from you! Call our agents today for a quote and see what next steps you can take in selling your home.